A closed fire door is an effective barrier against fire, protecting property and people`s lives. Wedging open fire doors is illegal and dangerous, putting organisations at risk of prosecution and potentially putting lives at risk. DoorSense is a reliable, high quality acoustic release door hold open device that meets all legal requirements for use in a wide range of environments including sensitive areas such as schools, care homes, etc. 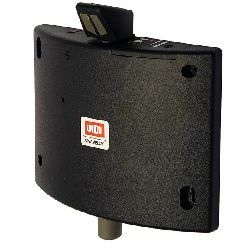 It holds a fire door open in any position but automatically releases the door should a fire alarm sound or at a set time. 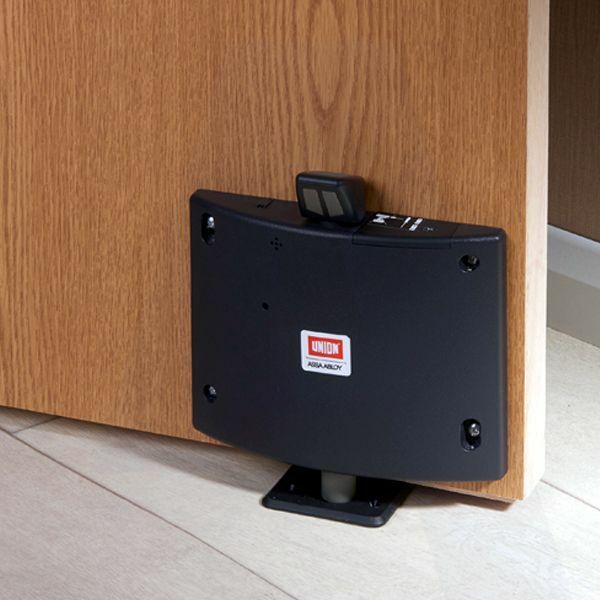 Quick and easy to install, DoorSense is an inexpensive device that simply screw fits to the bottom of the chosen door in a matter of minutes with no risk to the fire door`s integrity. Unlike some competitor products, the rugged casing of DoorSense is flame retardant, whilst the smooth, radiused surface is better at deflecting accidental knocks and bumps than the angular casings of alternative products. CE Marked to EN 1155 and EMC tested, these Fire Door Retainers are fire rated for timber (FD120) fire doors.